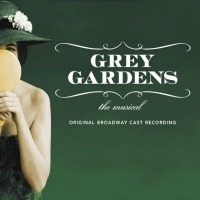 Original Broadway Cast, 2007 (PS Classics) (5 / 5) Upon the opening of the Broadway production of Grey Gardens (and the release of the Broadway cast recording), the creative team deemed it the definitive version of their show and requested the discontinuation of the cast album of the original Off-Broadway production, turning that recording into a collector’s item. Considering the musical’s generally grim story about former First Lady Jackie Kennedy’s peculiar aunt and pitiful cousin, Edith and Edie, who wind up living in sickening seediness, the Broadway album is a surprisingly fun listen. In its revamping, the musical lost four of its least inspired songs and gained three shiny new ones. Whereas the Off-Broadway album opens with a scratchy old recording of Edith singing “Toyland” that gets drowned out by the mother and daughter bickering, the Broadway album launches with the newly written “The Girl Who Has Everything,” an optimistic tune set within a conversation of pleasant reminiscing. The new song “Goin’ Places,” sung by Edie and her boyfriend, Joe Kennedy, Jr. (before he jilts her), substitutes a showy jazz number with upbeat lyrics about Joe’s future for Off-Broadway’s “Better Fall Out of Love,” a downer emphasizing why Joe and Edie aren’t right for each other. While the plodding “Tomorrow’s Woman” from Off-Broadway was simply eliminated, the spirited march “Being Bouvier” was re-constituted as “Marry Well,” changing the song from a cold military man’s boasting to warmer-toned advice for young girls from a concerned grandpa. 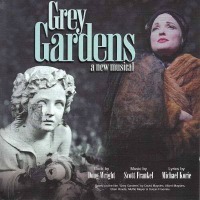 The album also benefits from sparkling new orchestrations by Bruce Coughlin; the only major casting change made for the Broadway transfer, namely the replacement of Sara Gettelfinger by the superior singer Erin Davie as Edie in the first act; and the trimming of the unsettling dialogue that weighed down the Off-Broadway recording, which makes it easier for us to appreciate the humorous aspects of the story of poor, pathetic Edith and Edie. — L.J.S.